Canadian Sport Centre Manitoba > Updates > Press Releases > PyeongChang 2018 Olympic Games Halfway! Several Manitobans have already added their names to the history books in PyeongChang. Winnipeg’s Kaitlyn Lawes and Manitoba-born John Morris of Ottawa made history in PyeongChang last week as they captured the first ever gold medal in the mixed doubles curling event. Both Olympic gold medallists prior to attending the PyeongChang Games, the duo showed finesse and composure throughout the tournament, posting a perfect record after losing their first game to Norway. Team Canada upset reigning world champions Switzerland in the inagural event to win gold in six ends. Teammates for only two months before the Games, Lawes and Morris are the first Canadians to become double Olympic gold medallists in curling. They are now tied with four others as the most decorated Olympic curlers in history. Red Lake, Ontario’s Eric Radford was born in Winnipeg and helped Team Canada earn its first gold medal of the 2018 Olympic Games in the figure skating team event. Radford also won bronze with long-time pairs partner Meghan Duhamel. In addition to winning his second and third Olympic medals in PyeongChang, Eric Radford became the first openly gay Canadian male Winter Olympian to win a gold medal. American bronze medallist Adam Rippon also medalled in the team event, where the two became the first openly gay figure skaters to medal at the Olympic Games. After several impressive performances at the Olympic Games in PyeongChang, two-time World Champions and three-time Olympic medallists Radford and Duhamel announced their retirement from figure skating. 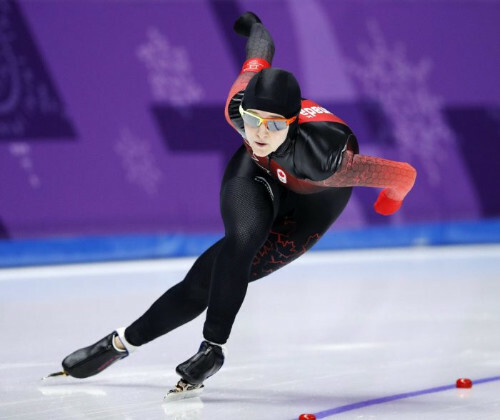 Winnipeg long track speed skater Heather McLean competed in two events in her first Olympics, finishing 25th in the Women’s 1000m and 14th in the Women’s 500m. McLean made her Olympic debut on Wednesday morning in the 1000m, where she finished 25th with a time of 1:17.25. Heather is the Canadian champion in the distance, and holds a personal best of 1.14.36. On Saturday, McLean was cheered on in the Women’s 500m by the Manitoba speed skating community at an early morning viewing party. Supporters gathered at 5:00 am to watch McLean’s best event, one in which she has collected several World Cup medals over the last three years. 25-year-old McLean placed 14th with a time of 38.29 seconds, one second off her personal best. 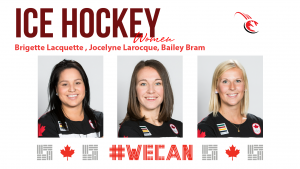 Manitobans Bailey Bram, Brigette Lacquette and Jocelyne Larocque (Sochi 2014 gold medallist) will look to help Canada capture yet another Olympic title in women’s hockey. 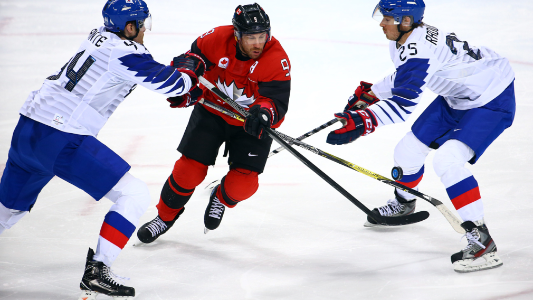 A 5-0 semifinal win against Olympic Athletes from Russia on Monday morning extended Canada’s win streak to 24 consecutive games at the Olympics. 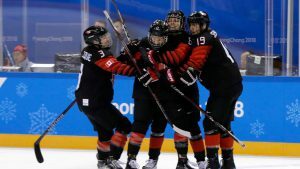 The undefeated Canadian team will look for its fifth straight Olympic gold medal in women’s hockey on Wednesday night, as Team Canada faces off against the United States for the Olympic title once again. Posting a 2-0-1 record in the round-robin, Canada’s men’s team finished second in Pool A, qualifying them for Wednesday’s quarter-final. 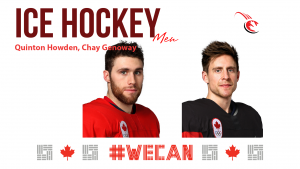 The Canadians, including Manitobans Quinton Howden and Chay Genoway, will play the winner of Tuesday’s tiebreaker between South Korea and Finland. Despite a slow game against the South Koreans to wrap up their round-robin play, Canada’s men’s team sits third in points out of 12 teams. 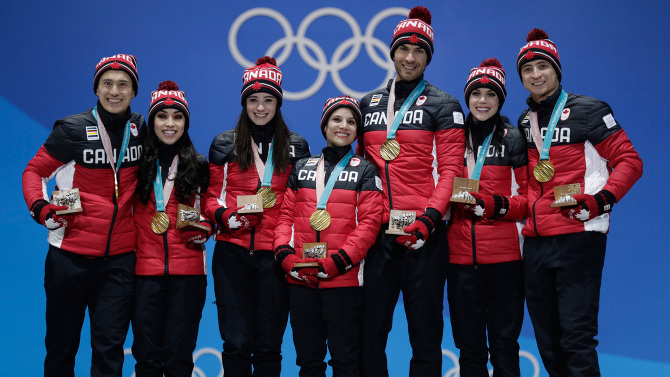 With six gold, five silver and six bronze medals so far, Team Canada could bring home a record medal haul from the PyeongChang 2018 Games.